Volatile confrontations predicted to take place outside the Republican National Convention in Cleveland — potential flash points that led the Cleveland police department to arm itself with 2,000 sets of riot gear — have not appeared. Reporting from Cleveland, Youth Radio reporter Soraya Shockley has spent time outside Quicken Loans Arena. She has seen protesters wearing T-shirts with the slogan “Revolution Nothing Less” trying to burn the U.S. flag. She’s seen police officers on bicycles ride through a confrontation between opposing groups, diffusing the scene. 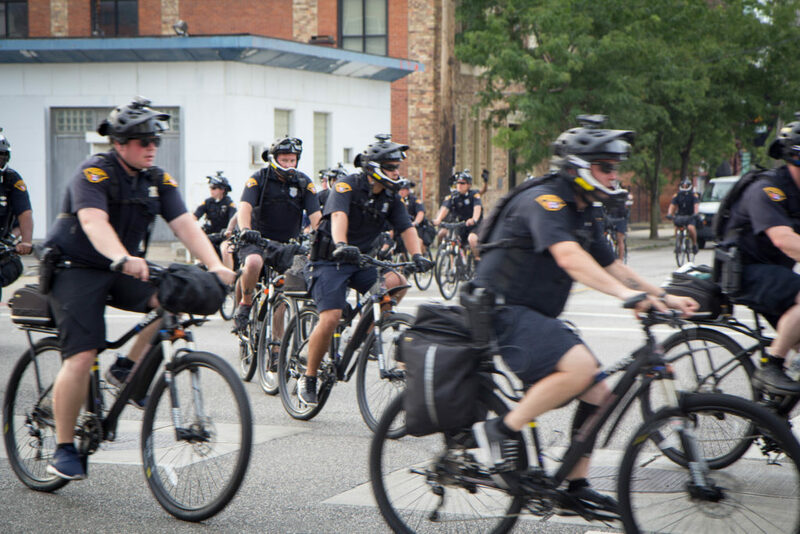 “The story here in Cleveland has become less about the police being armed to the teeth and ready for mayhem and more about the intelligent policing that has kept the city relatively quiet.” Read the story at Youth Radio. This entry was posted on July 22, 2016 by Editor in Print, Youth Radio and tagged Cleveland, current events, Politics, Republican National Convention, Youth Radio.